We love exceptional design, so it is no surprise that we were thrilled to again partner with House Beautiful for the 2018 Kitchen of the Year. The breathtaking home – steeped high in the hills of Hollywood – seamlessly blends cutting edge design, iconic style and innovation. 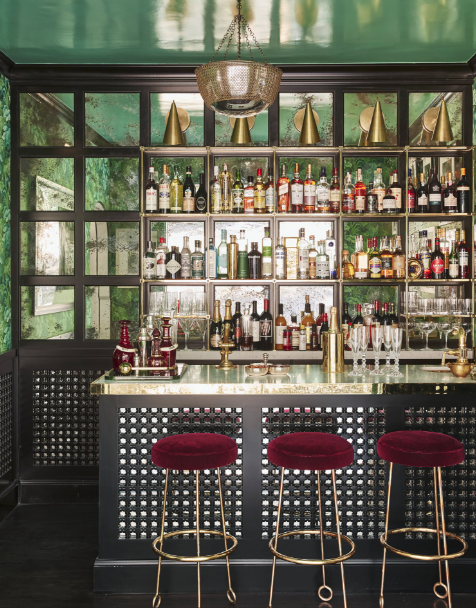 Prominent interior designer Martyn Lawrence Bullard, a multi award-winning Los Angeles-based designer renowned for his range of styles and eclectic yet sophisticated interiors, calls this striking showplace home. 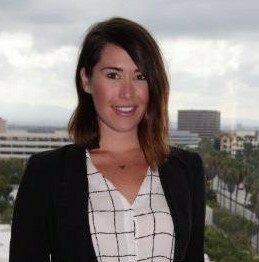 Here is a closer look at all the delicious details. 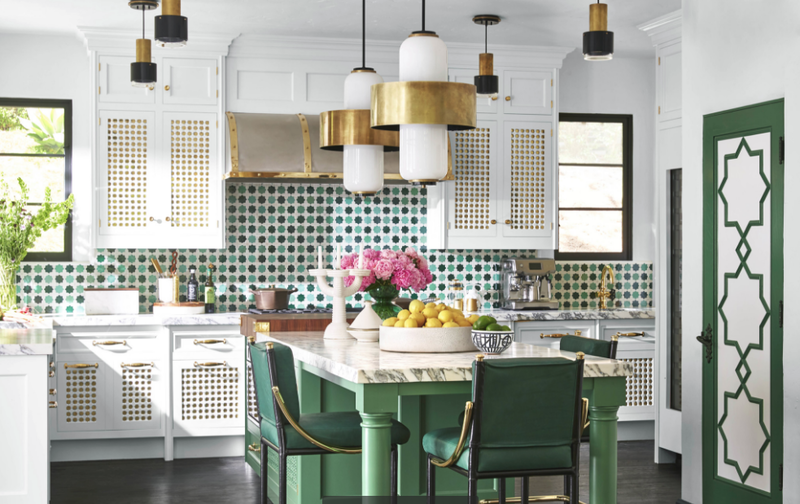 The true centerpiece of Martyn’s stunning abode is a beautifully crafted – and boldly colored – kitchen. 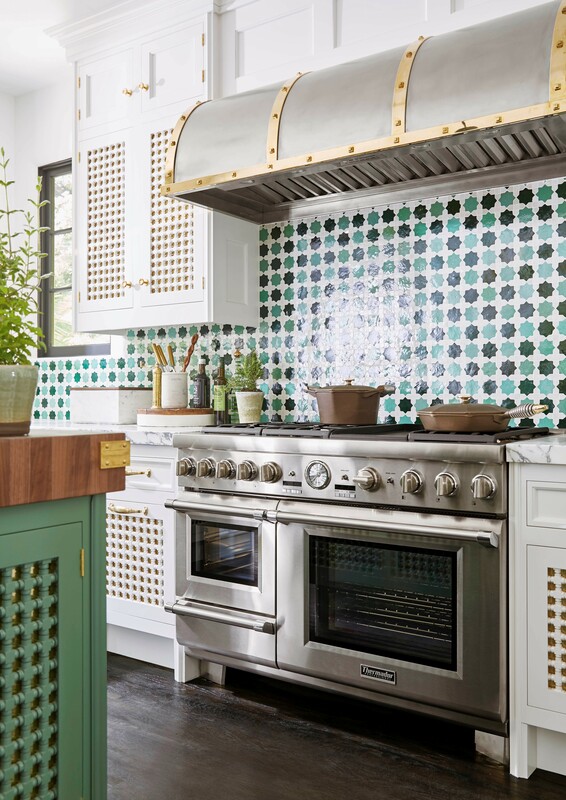 With breathtaking views of a fantasy garden backyard, custom paneling and tile design mimicked throughout the home, the kitchen boasts the latest variety of Thermador products – including bold classics like our 48-Inch Pro Grand Steam Range and custom design hood. 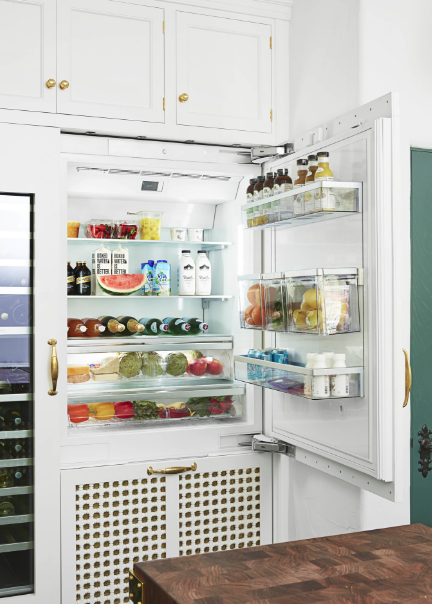 From wine and champagne to garden fresh produce, the Thermador Freedom Wine and Refrigeration columns seamlessly store all Martyn’s favorites. 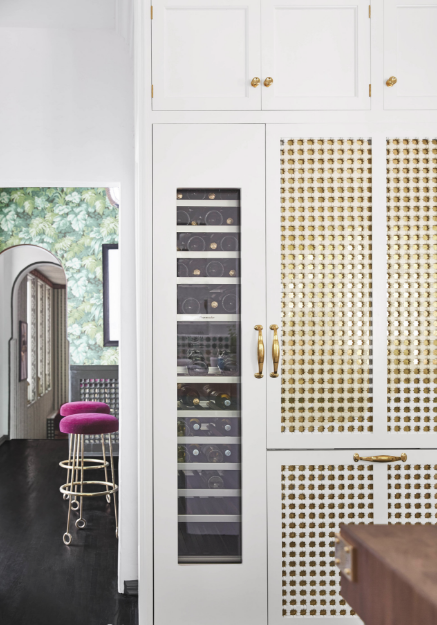 The intricate design adds an extra pop of glam to this already luxe space, with gorgeous gold hardware giving this innovative unit the ultimate elevated aesthetic. 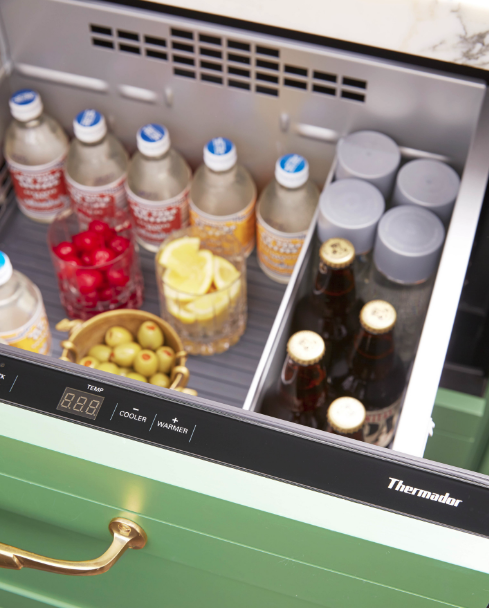 No matter the time of year, Thermador Under Counter Refrigeration Drawers are the ultimate party companion – perfectly storing bottles large and small. Boasting a bright, bold shade, this striking unit has us green with envy. Side note: Martyn later confessed that his only regret was that he couldn’t add more of these to his kitchen! 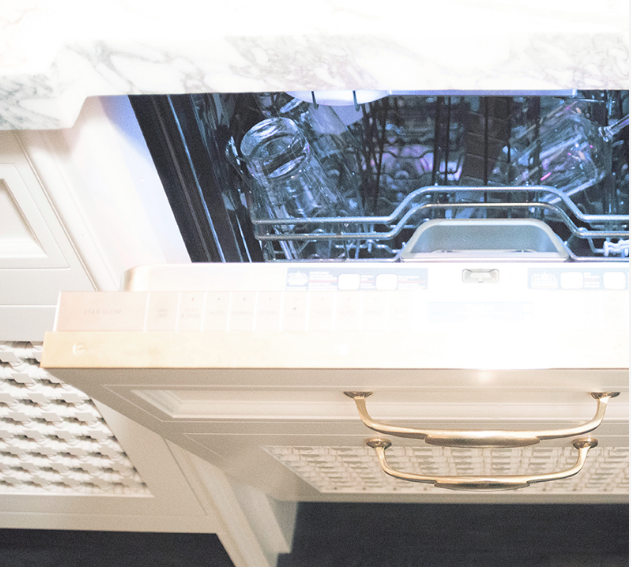 And making its first-ever appearance, introducing the Thermador Glass Care Center – specially crafted with a tine-less design to clean even your most delicate stemware and up to 26 large wine glasses. 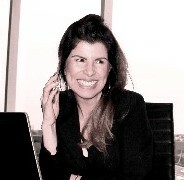 Look for our coverage in this month’s issue of House Beautiful and watch out for our launch early next month. 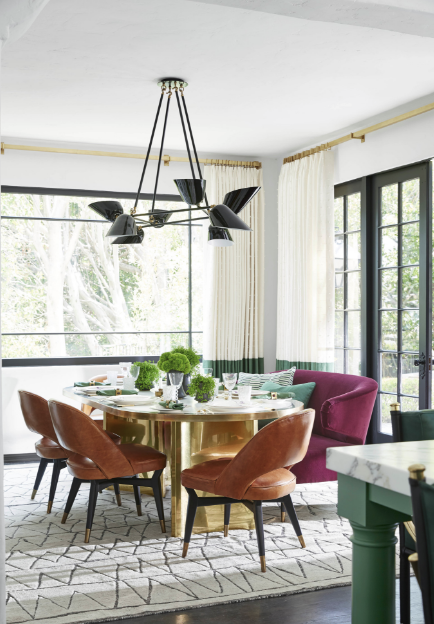 A meal in this delightful dining room is the ultimate way to start any day. What’s your favorite part of the House Beautiful Kitchen of the Year? Share your thoughts with us in the comments below or on our social channels: www.facebook.com/thermador, @ThermadorHomeand @Thermador.